Chamonix is one of the world’s great ski towns. It sits under Mont-Blanc, and is home to five world class ski resorts. It is also one of the homes of the Kandahar World Cup Downhill, held on the slopes of Les Houches. Whilst the steeps are legendary, Chamonix does have a wide range of skiing options. What makes it such a great place to improve is that access to amazing slopes and chutes are made in minutes from the main lifts. Whilst the back-country seems almost infinite in its possibilities, staying close to the major runs gives you access to terrain that the vast majority of mountains could only dream of. Le Tour with its rolling slopes and superb back-bowls towards the Swiss boarder. Les Grands Montets, in Argentière, known for its glacier skiing, masses of off-piste and open bowls. La Flégère whose sunny side skiing is perched on the side of the Aiguille Rouges and looks across at Mont-Blanc. A fantastic ski area of roll-offs and bowls. This has a liaison with Le Brévent, the only two areas linked in the valley. 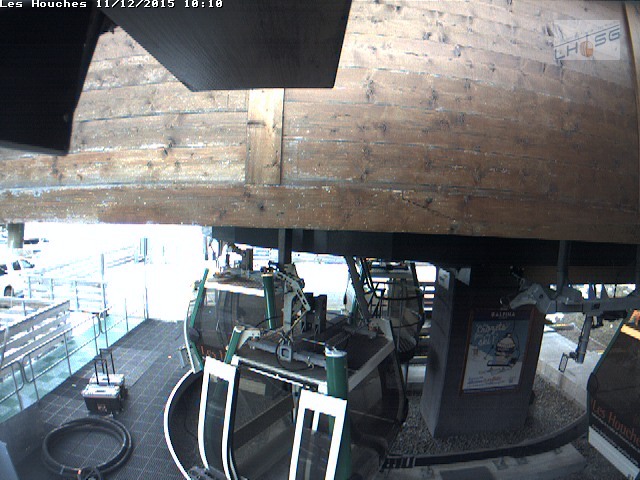 Le Brévent’s lifts (including its recently updated access gondola) rise out of Chamonix town and make a quick lunch-time ski now a real possibility for those working in town. Les Houches, 4km down the valley toward Geneva, is home to the World Cup Downhill and whose tree-lined runs are popular on storm days when the visibility may not be perfect ‘up top’. The official Chamonix website and a pretty good smartphone app too for iPhone or Android. In Chamonix there are 152 kilometres of pistes and there is something for every skier. Beginners have no worries on Le Tour’s friendlier slopes and The Grands Montets (despite its initial steep appearance) is ideal for getting skiers of an intermediate level and upwards to ski off-piste. Many of the small bowls dotted around the mountainside are easy to get to and offer varying pitches to get the skills honed. CHAMONIX UNLIMITED which gives access to everything in the valley (including the top section of the Grands Montets, l’Aiguille du Midi, Les Houches) and, outside of the valley, Courmayeur and Verbier. CHAMONIX LE PASS which gives access to the main skiing areas of Brevent-Flegere, Le Tour and Grand Montets. LES HOUCHES which covers the wonderful slopes of the smaller resort at the Geneva end of the valley. Les Houches is also covered by the UNLIMITED. Whilst it is excellent skiing this probably isn’t the pass for most visitors to Chamonix. Whether you want LE PASS or UNLIMITED really depends on how much you want to use the top lift at Grand Montets, if you want to do the Vallée Blanche and whether you’ll be popping through the tunnel for a day in Courmayeur. If you are at all uncertain, feel free to drop us a line.